From now until 8/22, Precious Moments is offering 20% off select Disney figurines. 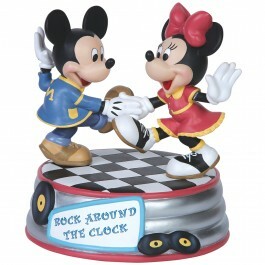 Their Disney Showcase collection features figurines, limited edition sculptures, birthday trains, and more. They are happy to help you add a touch of Disney magic to your gift list for Christmas, Valentine's Day, birthdays, or any day of the year. Share the gift of love and Disney magic and get 20% off select Disney figurines and gifts with code DISNEY18 at PreciousMoments.com! Sale ends 8/22.